Kumar was always comfortable with the BJP, he was with us for 17 years and that was the best period of his political career, says Modi. 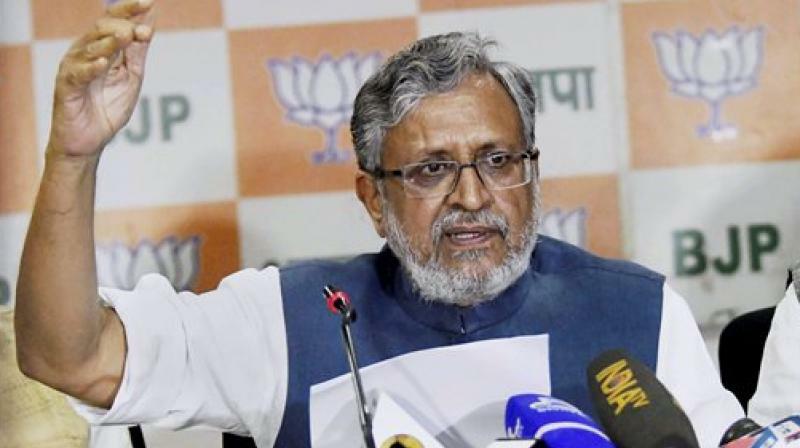 Sushil Kumar Modi, senior BJP leader, who became the deputy chief minister of Bihar for the third time, says that the newly-formed NDA government is committed to initiating action against those who have acquired benami properties through corruption. In an interview to Nayear Azad, Mr Modi also said that he may come out with documentary evidence of sand mafia funding the RJD and investing in Lalu Yadav’s family assets. Is this the “ghar wapsi” of Nitish Kumar? If Nitish Kumar is back with the BJP then it is only due to Lalu Prasad Yadav. He was asked to explain the source behind all those properties he had acquired in last several years, specially when he was the railway minister. Nitish Kumar has always taken a consistent stand on corruption. He was the only CM who supported Prime Minister when he launched the demonetisation drive despite being in alliance with the RJD and the Congress. He never compromises on the issue of corruption and that is the reason why he took a stand when the CBI registered an FIR against Lalu Yadav and his family, including his son Tejashwi Yadav. Kumar was always comfortable with the BJP, he was with us for 17 years and that was the best period of his political career. Tejashwi Yadav says that 75 per cent ministers in your Cabinet have cases against them? Tejashwi must know the difference between serious corruption charges and political cases. Cases are often filed against political leaders while they are leading a march or an agitation. No one in our Cabinet has any serious criminal or corruption cases. I have five cases against me that include three defamation suits levelled by leaders like R.K. Rana, Sadhu Yadav and Pappu Yadav. The cases Tejashwi is referring to are not as serious as corruption charges filed against him and Lalu Yadav. So cases of corruption cannot be equated with cases of political nature. Instead of giving statements they should start explaining people about properties they have acquired. Do you think this time Nitish Kumar will be comfortable with the BJP? We share a good rapport. Nitish has observed PM Narendra Modi’s work very closely. For almost seven years we have worked together and pulled Bihar out from backwardness. I don’t think there will be any trouble in running the government. Now that you are back as deputy CM can we expect a crackdown on Lalu’s properties? We will act as per law. Earlier, when we were in the government in Bihar, we had made rules for the seizure of benami properties or those assets that were acquired through corrupt means. Between 2005 and 2013, our government had seized properties of half a dozen such persons including several officers. We will sit and review each and every detail. You recently ordered a probe into soil scam case? We are reviewing it but cases against Lalu Yadav’s family are also of acquiring benami properties worth Rs 1,000 crores. There are also reports that sand mafia has been funding RJD, the matter is being reviewed and as soon as we get enough documentary evidence against Lalu Yadav’s links with sand mafia, we will expose him further. Lalu Yadav says your party deliberately targeted and conspired against the government and the entire political drama was scripted by you. Your comments. 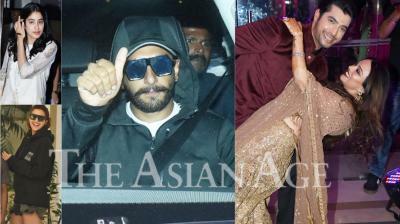 The allegation is completely baseless. I had no knowledge of the development until that very evening. When I heard that Nitish Kumar has resigned as CM, I discussed the matter with BJP MLAs and they suggested that we should support him in his fight against corruption and for the sake of Bihar’s development. Even JD(U) legislators advised the same thing to Nitish. After I got a go ahead from the Centre, I met Nitish and decided to form a government. Once again I must clarify here that Nitish resigned because he couldn’t compromise with corruption. It’s due to Lalu Yadav’s ego that the Mahagathbandhan collapsed not due to the BJP. Rahul Gandhi has called Nitish Kumar an opportunist. He says he was aware of the whole issue… Your reaction. If he was aware of the whole gameplan from the beginning then why he didn’t say or do anything to save the alliance? Why he couldn’t ask Lalu Yadav to persuade his son to resign? The fight was between principles and opportunism; Nitish would have remained with the RJD but his principles didn’t allow him. What kind of action can we expect now as you have started reviewing each department and file? Departmental reviews are normal procedure. But with the RJD in the government, the situation was going out of hand. Lawlessness had returned and whatever developmental work you see in Bihar today is because of the previous NDA government. Do you think that the Lalu Yadav factor will help the RJD in the next Assembly elections? In 2010, we won elections despite the RJD contesting in alliance with other secular parties like the LJP. Even the Yadavs have been voting for us. In 2007, Muslim came forward and voted in large number for the JD(U)-BJP combine. The voting pattern has changed; young Muslim and Yadavs only want development. What will be the political implications of Nitish Kumar’s return to the NDA fold? Do you think his return will help you bag more seats in 2019 and 2020? We firmly believe that we will sweep 2019 general elections and 2020 Bihar Assembly elections because we have the clean image of PM Modi and the BJP-JD(U) alliance in Bihar. The RJD-Congress combine has no face to project; people have already rejected Rahul Gandhi. Will your party project Nitish Kumar as the chief ministerial candidate in 2020 Assembly elections? Right now we are focusing on the general elections. Nitish Kumar is the leader of the alliance. How can anyone else be projected? However, such issues are always decided before the elections. The RJD has planned a rally to expose BJP’s failure. Lalu Yadav has named the rally “BJP hatao, desh bachao” rally. Reports coming from rural areas also suggest that the rally may turn out to be his biggest show of strength. This rally should be named as “Benami sampati bachao” rally because a large number of political leaders who have been charged with acquiring benami properties will be participating. It won’t have any effect as Lalu Yadav is himself a convict and can’t even contest local body elections.